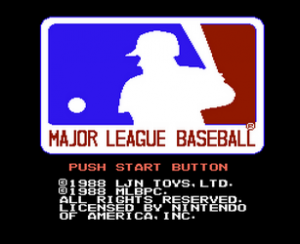 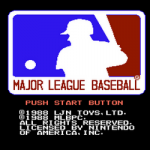 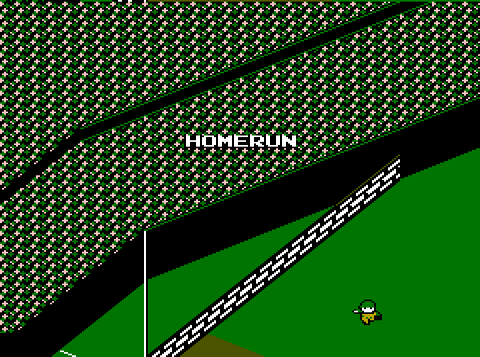 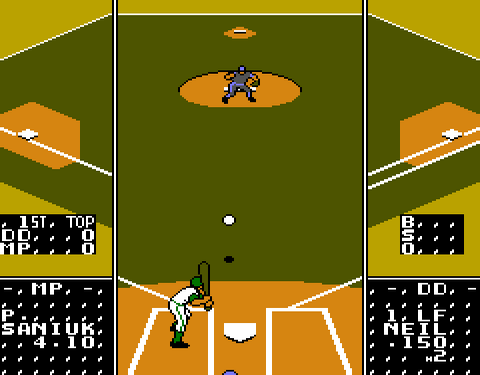 In the days of the NES, baseball games were never in short supply. 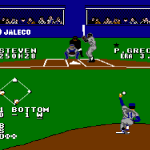 There was RBI Baseball which had a sequel or 3, Bases Loaded which also had a few sequels, Base Wars, Baseball Simulator 1.000, Baseball Stars, Bad News Baseball, Nintendo made their own simply titled “Baseball“and there was even Bo Jackson’s Baseball, along with a slew of other versions of the exact same thing but my personal favorite without a doubt was LJN’s MLB! 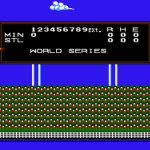 The object of the game was to play baseball and enjoy it, yet sometimes these games made that a hard fought match. 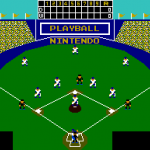 While the standard games let you pick your team and opponent, most only offering fictional teams, some offered a little more in depth customizing such as selecting your line up, standard game, All-star game or skip straight to a World Series match. 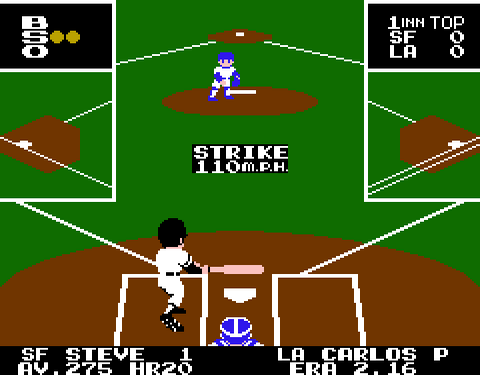 Some games made you pitch first, some allowed you to bat first, it was all luck of the draw and the game developer’s choice. 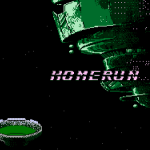 Some gave you short chubby 8-bit caricatures of what could possibly be humans while others gave you taller, leaner version of 8-bit humanity (or in the case of Base Wars, ROBOTS!). 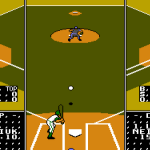 Some offered view points that made no sense what so ever such as Bases Loaded, which was always from the pitching mound, while others gave you a show from behind home plate, which personally I think made it easier to control the pitches over the plate. 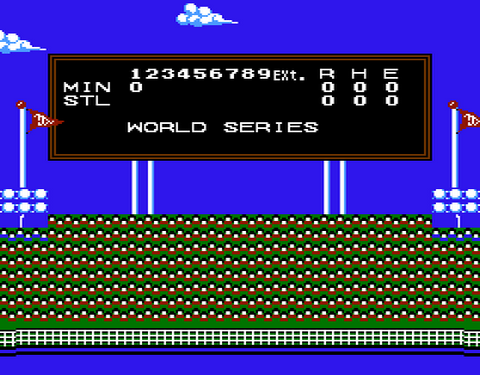 All in all the idea was to win! All of them were straight forward, if you’ve played baseball in your life then you understood your mission. 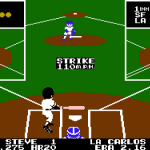 As a pitcher you try to make sure the batter doesn’t hit the ball, while as the batter you try to connect with the ball yet not swing wildly at anything that the pitchers lets fly. 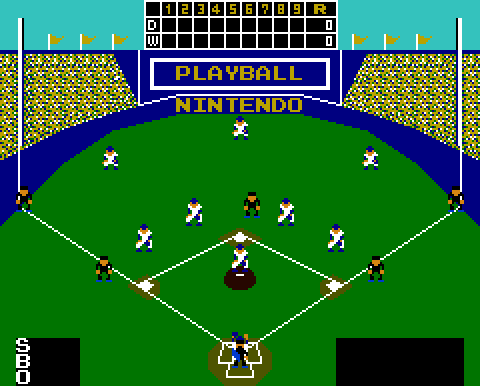 All the baseball games did the same job, you played baseball, yet they all did it in their own fashion. 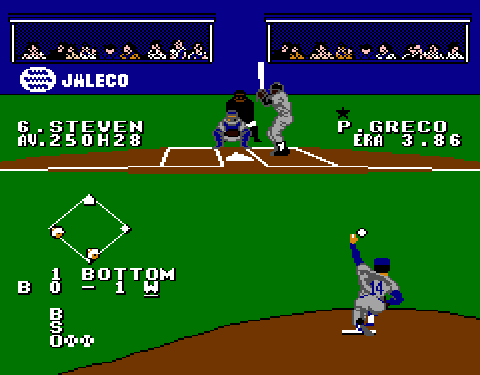 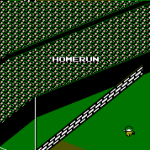 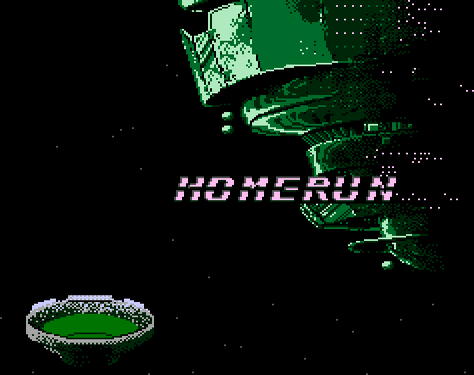 So, whatever your favorite NES baseball game is, there are a lot more out there you might want to give a try, you just never know what one may do better than the other.